For those that know her, there is no doubt Nan is passionate about food, entertaining and sharing her love of life. Growing up in Northern California not far from the burgeoning food Mecca’s of San Francisco, Sonoma and Napa Valley, she was fortunate to experience firsthand new and exciting California cuisine. Nan is well traveled and has experienced the wonder of the culinary worlds of France, Mexico and Italy. Ultimately she became legendary with family and friends for her celebrated cooking and highly anticipated dining events. Over time, she cultivated experimenting with new products within her circle of foodies, and would happily coach them to become adventurous cooks themselves. It became the norm to seek Nan’s guidance on the best quality ingredients. In due course it became customary for these products to be considered ‘Nan Approved’. Nan spent a lot of time and dollars evaluating the ever growing array of ‘hot’ so-called gourmet products. Her disappointment with the quality of many of these drove her to seek and promote her own products. The ‘Nan Approved’ movement was about to take a step in the ultimate direction. 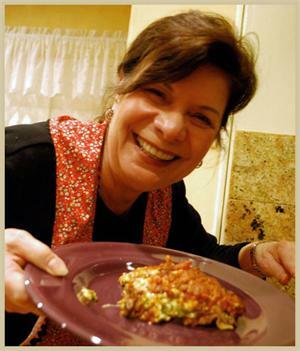 In 2003 Nan left the corporate world to pursue her passion for fine food products full time. She traveled the west with her best wares, offering them at food & wine festivals and farmers markets, developing a cult following of folks who came back to her show after show. In time, it only made sense to offer the world a chance to obtain these amazing products with a web-based gourmet food store. Nan’s Gourmet Foods mission is to bring ‘Nan Approved’ directly to you, providing you with the finest and highest quality gourmet food products available anywhere. For you, it is the confidence of knowing you have great ingredients. Great ingredients are the key to making great food. ‘Nan Approved’ products advocate simplicity in preparing your favorite meals. It is not a surprise to learn Nan’s motto; “Eat well, laugh hard, love and enjoy life”. We think there is nothing better. In addition to offering the finest in gourmet food products, this site also strives to help you with recipe ideas, food combinations and food news. Please check our Facebook page as well as our blog for news, recipes and input from people like you on the wonderful world of cooking yummy food. Nan’s Gourmet Foods is located in Vallejo, California. Along with being dedicated to excellent food, Nan and her team are deeply committed to giving back to the community. A portion of all sales benefits Bay Area food banks, soup kitchens and animal shelters. If you have any questions or need recipe ideas or help, please feel free to write to us. Don’t be surprised if many times it will be Nan herself who responds!